for $379,900 with 3 bedrooms and 2 full baths, 1 half bath. This 2,390 square foot home was built in 1973 on a lot size of 7437 Sqft..
Fabulous single story property w/mature oaks set back on private lot, overlooking Sugar Creek golf course. Spectacular views from dining +living +master suite! High ceilings & wall of windows adorn main living spaces. 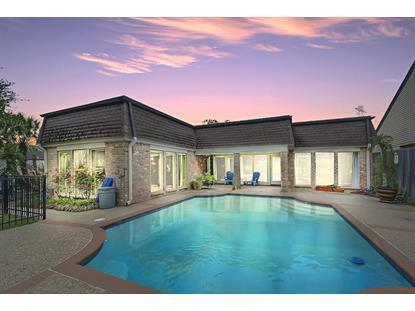 Spacious covered patio overlooks contemporary pool w/spray fountains. Gated front entry +lush courtyard is inviting, yet offers restricted access. Enter gorgeous mahogany double doors & a broad foyer greets guests upon entry w/scene stealing windows overlooking pool +golf course. Exclusive cul-de-sac style section of Sugar Creek w/limited traffic +extensive guest parking in oversized medians. 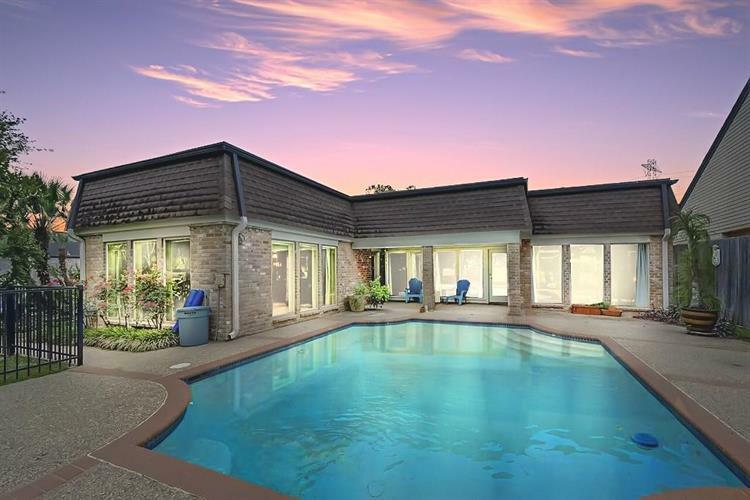 This property was made for entertaining +leisure! Updates in this beautiful & clean home include roof 2017, duct work 2017, electric panel 2017, foundation 2018 (lifetime warranty), ext paint 2019. This casual & comfortable home has split plan w/incredible closet space, granite counters, luxe walk in tile shower (master), tile floors throughout, terrific built ins throughout.